Industry professionals know that without the best HVAC tools, it's hard to get the job done. Maintaining an efficient heating and cooling system is paramount if you live an area with temperature extremes. You do not want to have a broken air conditioner or heater on a hot or cold day. We have all the best tools online. Regular maintenance and checkups with a technician will prevent major repairs and system failure and your technician will have all the special hand tools that he/she needs to maintain or fix your system. 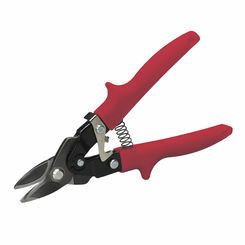 But if you buy snips, crimpers, and other essential tools, then you will have HVAC hand tools you need to perform the same kind of jobs. 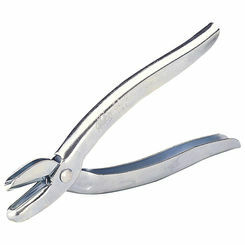 Tin snips are an essential tool for any duct system. Ducts generally consist of 4 parts. The main line called the trunk, the ducting that runs from the trunk, called legs the end of the leg called boots, and finally the return air duct. 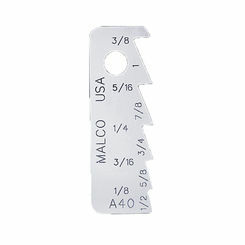 Each of these four components will require at some point the use of a tin snip. This tool is used to cut the ductwork into whatever shape necessary. 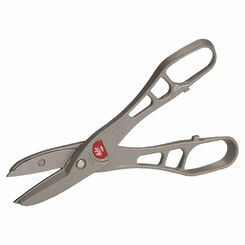 There are 3 main types of tin snip. 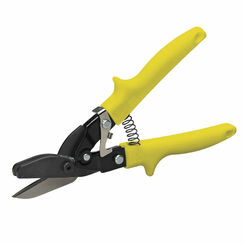 First of all, Aviation snips which are designed for any straight cut that may be required especially if they are a little longer than normal. 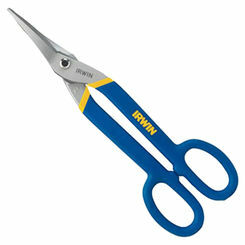 Angle snips are designed to cut in a circle. They are specifically designed to cut one way or the other and won't do both, but that being said they are extremely handy for cutting the exit holes in the trunk to attach the legs. 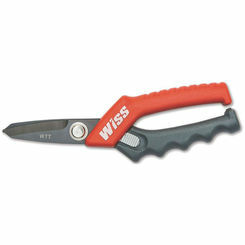 Offset snips have blades that are set at an angle almost parallel to the cutting surface. 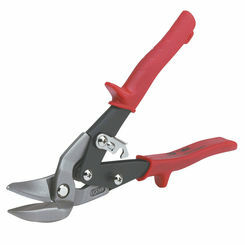 These HVAC hand tools are also used to help lessen hand fatigue when cutting flatwork. 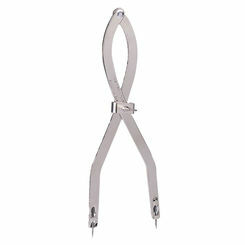 Pipe crimpers are another useful tool especially for legs and boots. 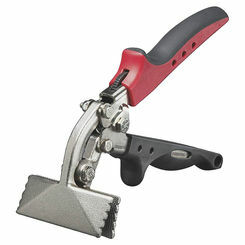 A pipe crimper creates ripple in the duct pipe or end boot so you can insert it into another pipe or duct. It will require you to press the ripples all the way around the pipe in 2" or 3" sections, so it is best to do this before you install the duct into place. 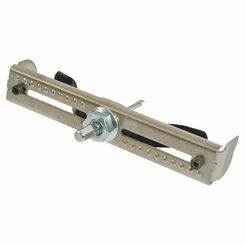 PlumbersStock also carries power tool attachments to make installation more efficient. 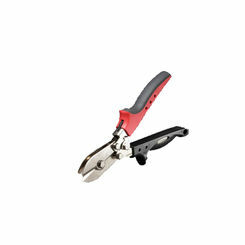 One of the most popular accessories would be the quick cut adjustable hole saw. 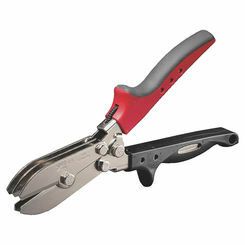 It is designed for use with most standard cordless drills, and makes clean, precise holes. It's self-sharpening, carbide-sprayed cutting tips are made to cut holes in most ductwork, and it fits any standard 3/8" drill chuck. 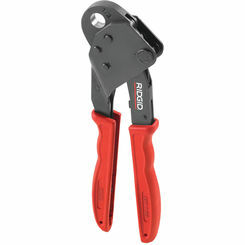 Flare nut wrenches are a specialty tool designed to be used with HVAC tubing and tubing connectors. Nut drivers are used to drive hex head screws into cabinets, air panels, and heating units. 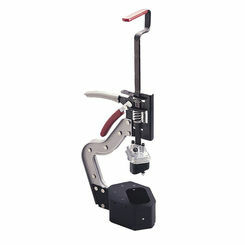 Tube cutters, bender, brushes, flaring tools, etc. are used install and remove tubing with HVAC equipment. Refrigerant charging units are used to recharge accurately the refrigerant in cooling units. Vacuum pumps are used to remove unwanted air and other gases from refrigeration systems. 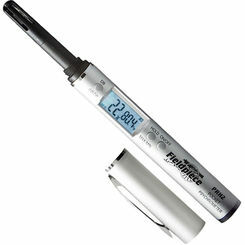 Manometers and electronic vacuum gauges monitor the vacuum levels refrigerant system when removing the coolant. Refrigerant leak detectors are used to detect coolant that’s been leaking from a unit, allowing the repairman to assess the leak and fix it. 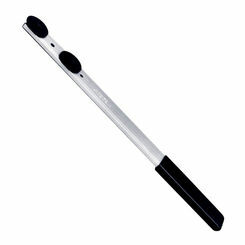 Sling psychrometers are used to measure the humidity in an area. 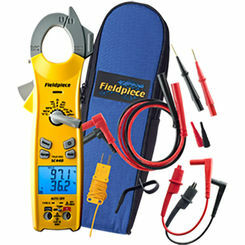 Multimeters are used to measure voltage in the electrical system of a HVAC unit. Air quality tools are used to check the air for oxygen purity, carbon dioxide and carbon monoxide levels. They also check the combustion efficiency and can detect leaks in a HVAC system. 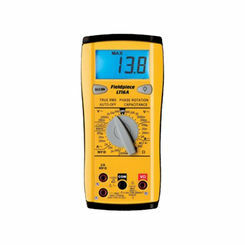 Ammeters are used to measure the electrical current without breaking the circuit of the unit. Gauge manifolds check the vacuums, pressure and refrigerant connections. Instruments for measuring air velocity are used to check ductwork, fans, blowers, and measure pressure in the HVAC unit.  Buy new HVAC tools online from PlumbersStock and save. 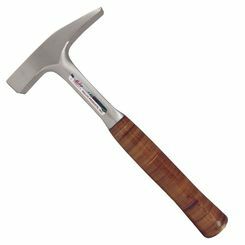 If you have any trouble locating the right tool, please contact a member of our staff and they can help you navigate the site. 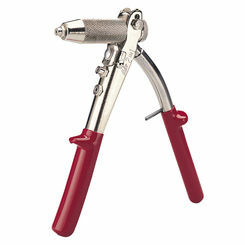 Update your heating and cooling system with the best hand tools for the job.